Shasta RV today has named RV industry veteran Doug Lantz as president and general manager of the Middlebury, Indiana based manufacturer. As we reported this week, the position was made open by the sudden resignation of Mark Lucas to pursue other interests. Lantz brings over 25 years experience in the RV industry to Shasta. 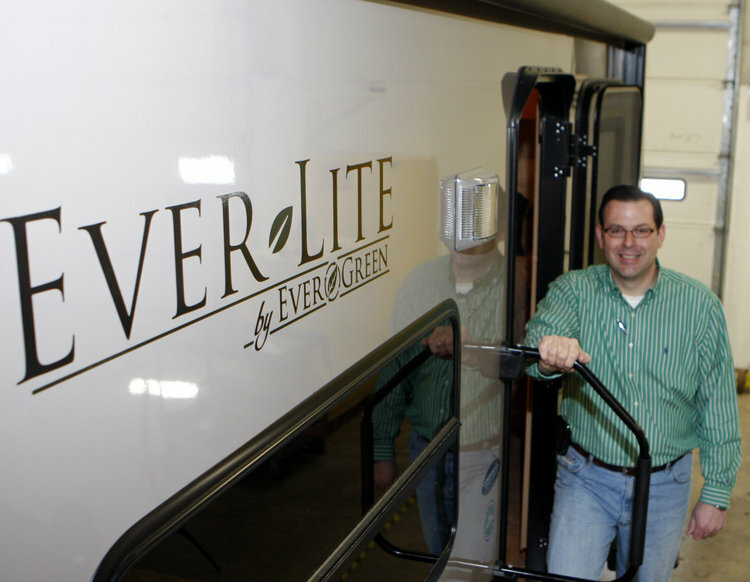 He began his career in 1988 with Coachmen RV, but more important is he was a co-founder of EverGreen RV and served as its president from 2008-2012, while also serving in other roles with Evergreen in recent years. It’ll be interesting to watch Shasta going forward to see if we’ll see some of the same eco-friendly construction methods that have been used in Evergreen since their inception. Below is a video I found of Doug Lantz being interviewed while with Evergreen back in 2010. Lucas was hired on as president of Shasta in early 2012 after serving as the president and general manager at CrossRoads RV from 2002 through 2010. 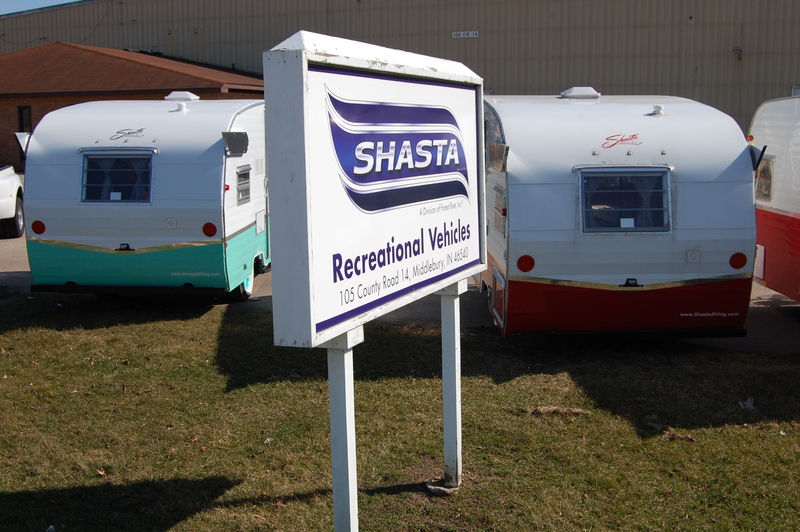 Under his leadership, the Shasta lineup saw a lot of reorganization and addition of new models, including the Phoenix 5th wheel and Flyte travel trailer to go along with the Revere and Oasis travel trailers. 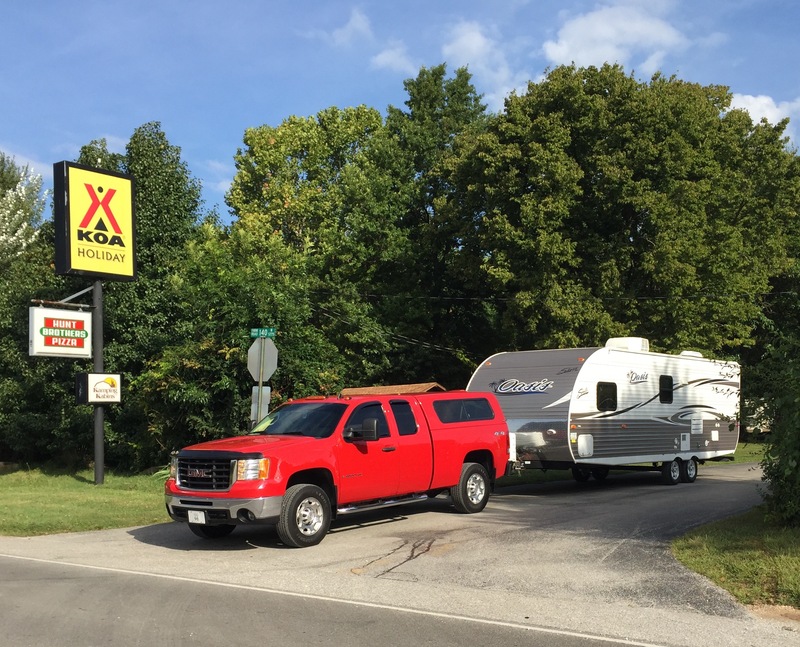 In a short span of time, Shasta’s market share has continued to grow and has quickly become an affordable and readily available brand for those budget conscious RVers. His signature move was the one time project to reissue 1,941 1961 Shasta Airflyte 16 and 19 foot travel trailers that spanned late 2014 and into most of 2015. The reissue of the Airflyte took the RV industry by storm and infused a new crop of RVers into the market who never had an RV before, thanks to the introduction of the reissued Airflytes. However, the Airflyte didn’t come without its share of problems for Shasta, as nearly all but a couple hundred reissues were recalled in late September 2015 by parent company Forest River due to axle and window issues that were discussed here. There’s been no official press release by Shasta or Forest River on his resignation, so there’s no word on who’ll be taking the helm at Shasta’s Middlebury, Indiana plant. I’ll have more updates as they become available. 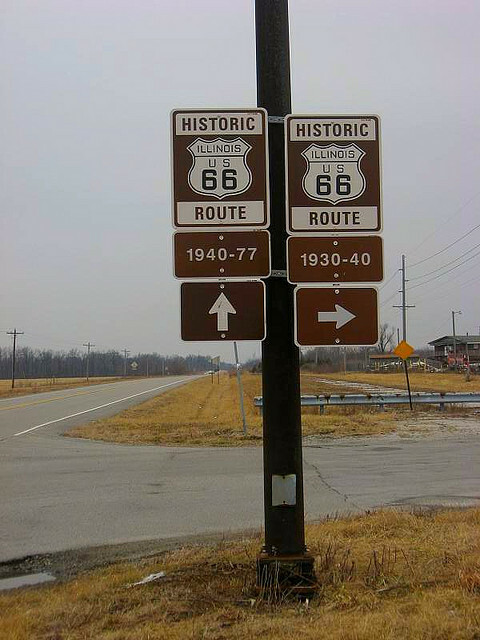 I’ve been a Route 66 enthusiast since the early 1990’s and have driven a portion of it every year since 1993, as it’s some 3 hours away from my central Indiana home. Throughout the years, I’ve exclusively driven Route 66 via car and stayed in motels, while never really giving campgrounds a second look. However, this year we decided to see Route 66 in a different light. 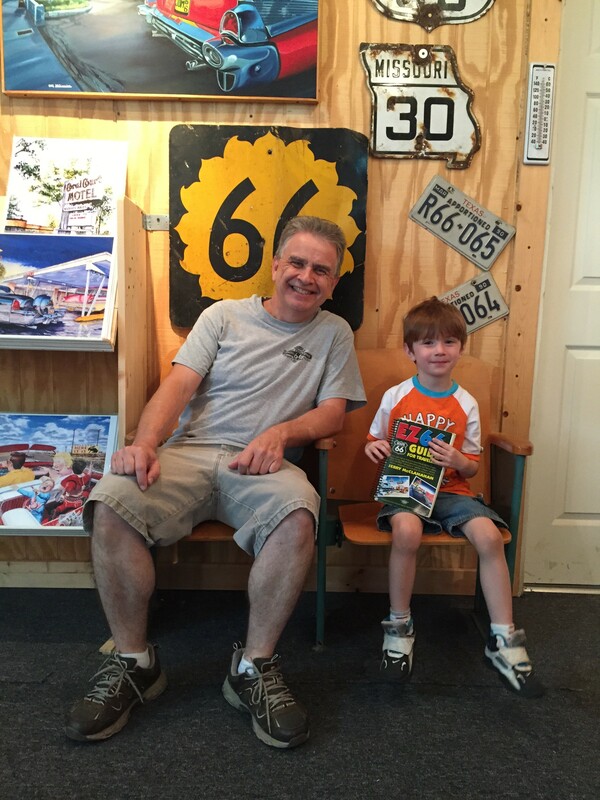 Recently we hitched up our Shasta and took our 4 year old grandson on an RV trip along Route 66 to Amarillo, Texas. The trip encompassed some 8 camping nights at 7 different RV parks along the 1,000 mile journey to Amarillo, picking up Route 66 in St. Louis. 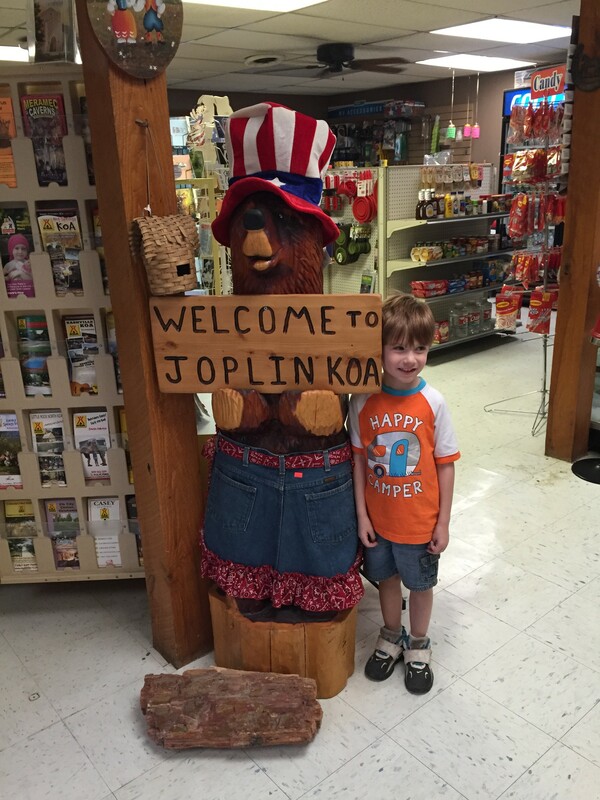 This post is to provide some insight on how you too and comfortably RV on Route 66, as well as give an overview of the RV parks we stayed in along the way. Traveling the 80-85% of what’s left of US 66 in an RV, one needs to be prepared. For some, the challenge may be too much. 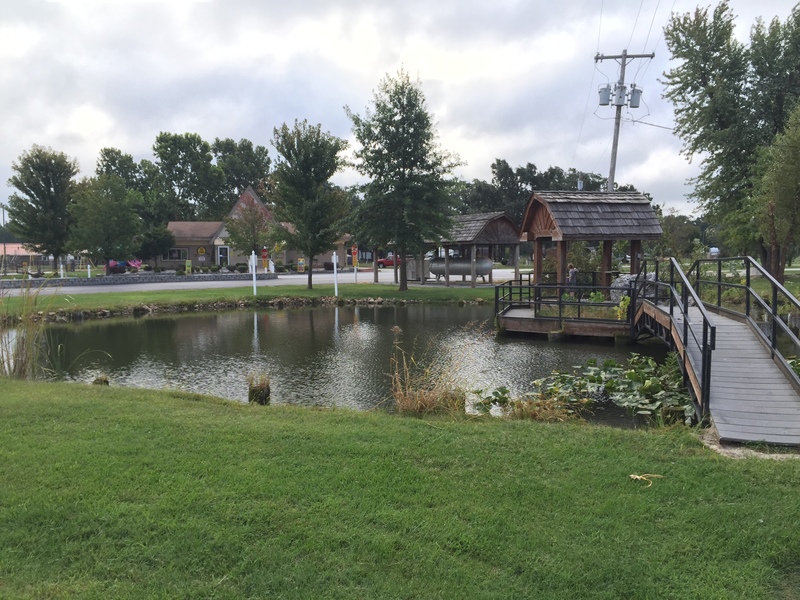 But if you can come to terms with a few inconveniences such as maybe parking a few blocks away in a big parking lot in a small town to get to that “must stop” café or roadside attraction, you’ll find that little inconvenience is more than worth the trouble. Also, much of Route 66 can be a little bumpy and unforgiving. Afterall, there are many sections of 66 (especially western Oklahoma) that still uses the same 80+ year old Portland concrete that carried traffic when it was a commissioned highway. 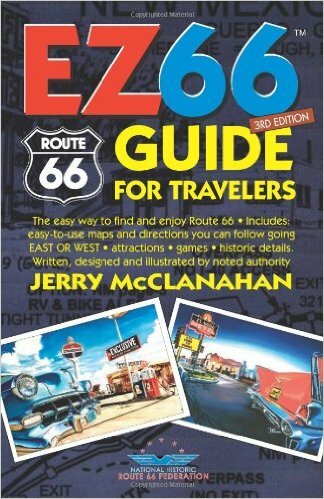 To aid in the adventure of traveling 66 by RV (or even just in your car), I highly suggest picking up a copy of Jerry McClanahan’s EZ66 GUIDE For Travelers, available through Amazon and other online sources. Jerry does an excellent job of giving some important “RV Alerts” when a section of 66 may be difficult for an RV and should be avoided. Jerry has been documenting various alignments of Route 66 for over 30 years and is a well-respected “road scholar” and photographer. He’s also quite the accomplished artist as well. His art studio is in a house just about a block off Route 66 in Chandler, Oklahoma. Visitors are welcome to stop by (306 Manvel) and browse his artwork that’s for sale, have your EZ Guide signed, or even have a picture taken. My best advice if traveling 66 in an RV is to use your best judgment and don’t forget to pack your common sense before you pull out of the driveway. Route 66 is never far from an interstate, so if you find a section that is getting a little too rough, you can always jump on the super slab in a short amount of time. Now to the meat of our trip! Just a couple of notes. All sites were pull throughs with full hookups. We also received a 10% discount at the KOAs by using our VKR discount card, and 10% at non-KOAs by using our Good Sam membership card. You’d feel at home there for sure…if your home was on the surface of the moon. Why they’re open is beyond me. 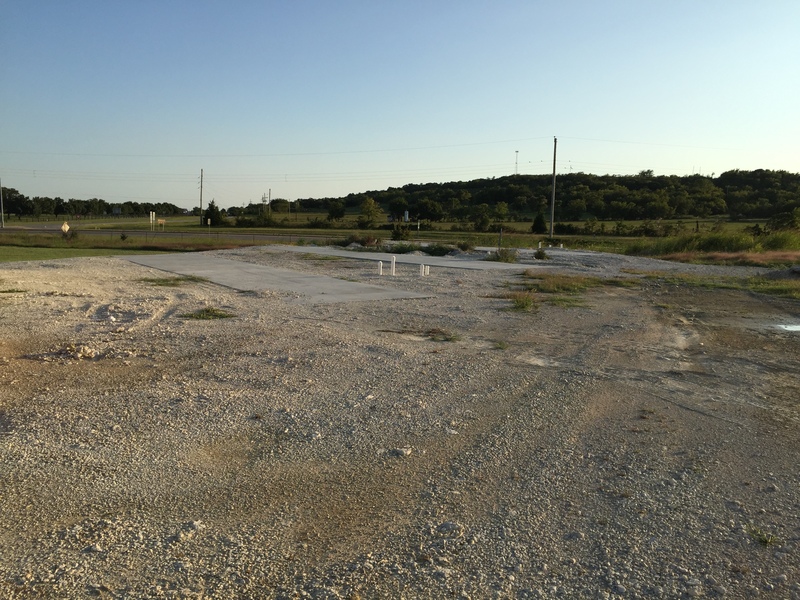 It’s situated next to a storage unit atop a slight hill next to I-44 and Route 66. They’re new in the sense that they’ve started construction and decided to go ahead and “open” without being anywhere close to done. There are concrete pads and electrical posts with water, but most of the pads don’t have electric and they’re covered with construction materials. 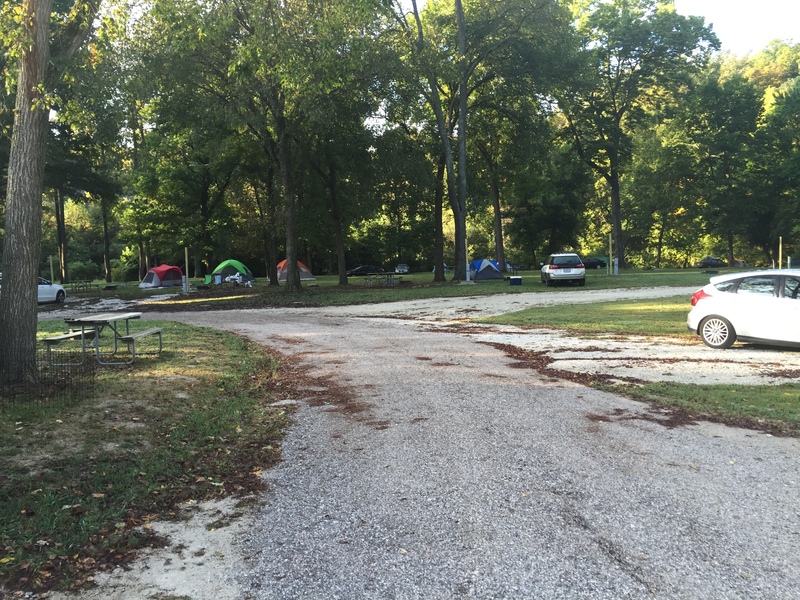 We were in phone communication with the owner on the way there, but upon arrival, no one was around to take our campsite fee. When we got back from dinner, we contacted the owner and were told his son would meet us by the dumpster to take our money. At this point it was dark and I was getting a bit nervous. Approaching the fence that separates the storage facility from the campground emerged the son, where I gave him my campsite fee through the fence. From there, he disappeared into the darkness. I’m still not sure if I was in a Breaking Bad or Twilight Zone episode. The advertised “clubhouse” was closed the entire time we were there, likely because it was still under construction. 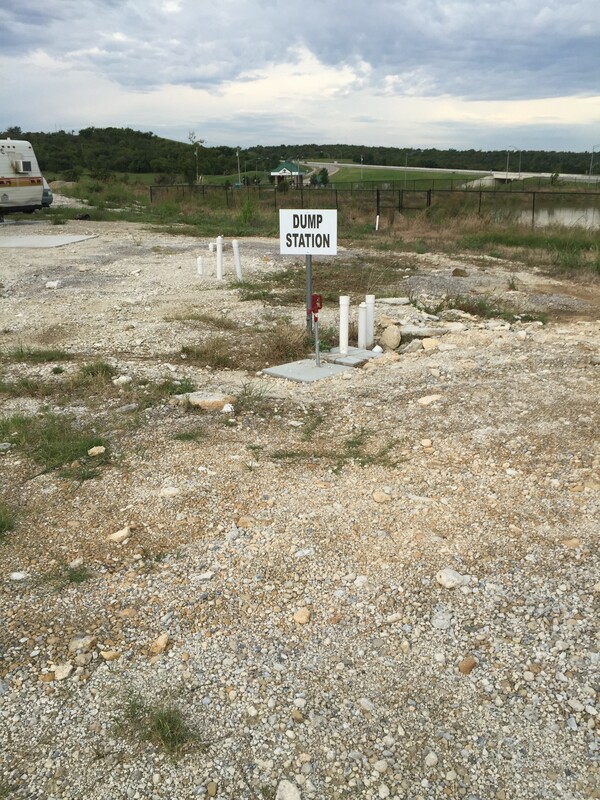 And the dump station didn’t look like it was usable, although we did have a full hookup site. 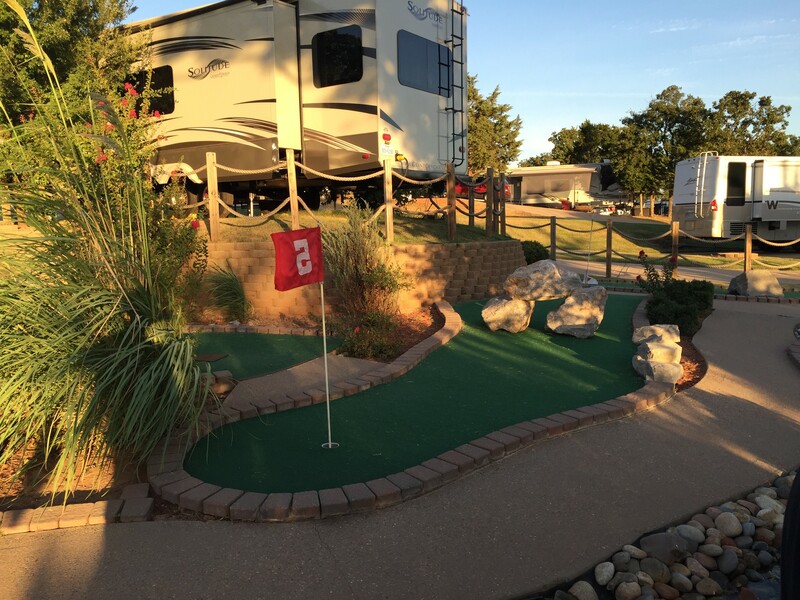 Nights 4 & 5: Oasis RV Park, Amarillo, Texas. 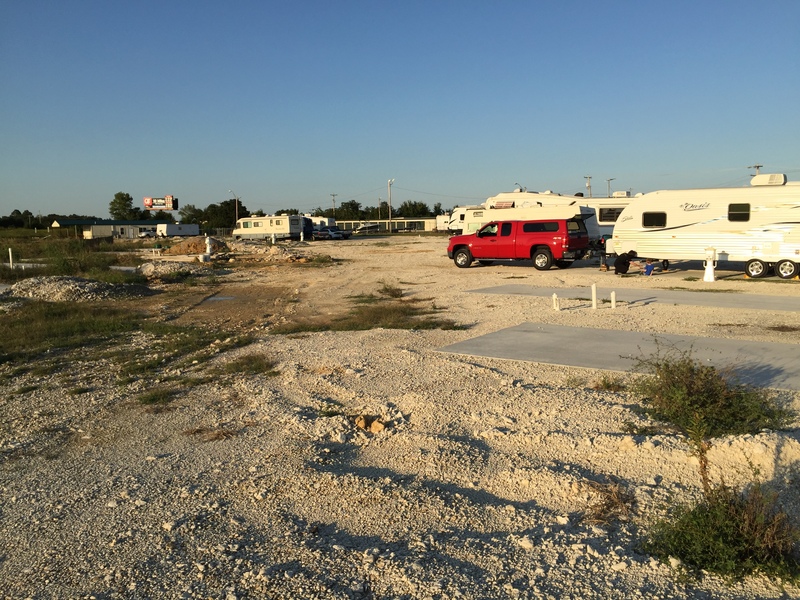 The Oasis RV Park was quite the extreme from our experience on Night 2 near Tulsa. 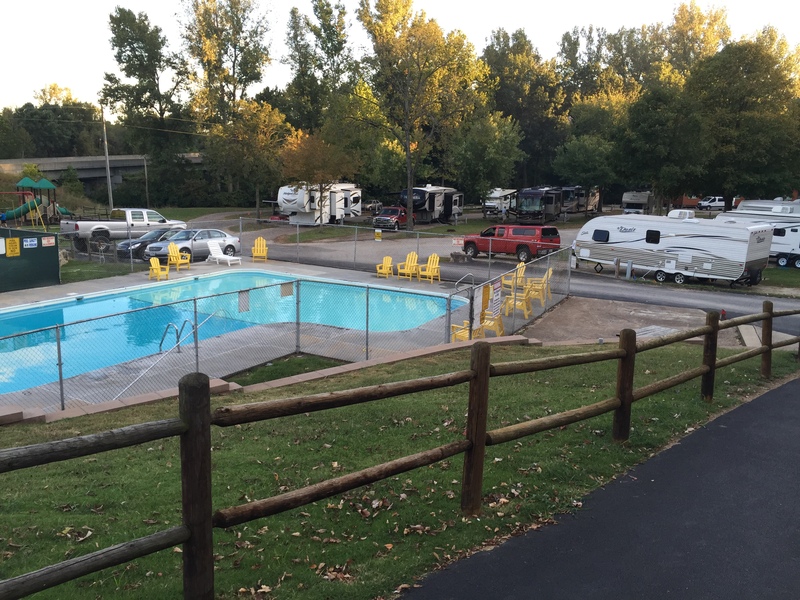 Here there are 180+ sites with all level concrete pads with full hook-ups and multiple shower houses and laundry facilities. 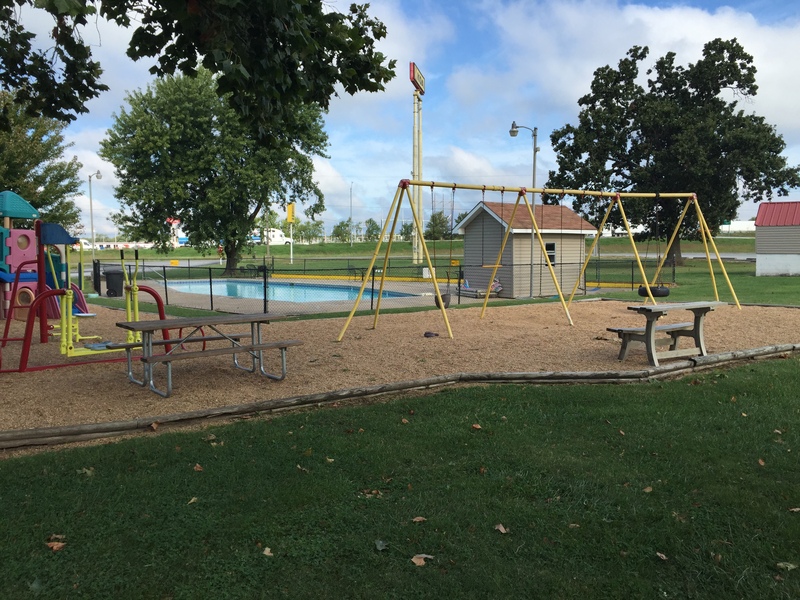 This park, just west of Cadillac Ranch on the south side of I-40 near the Arnot Road interchange, caters heavily to retirees. 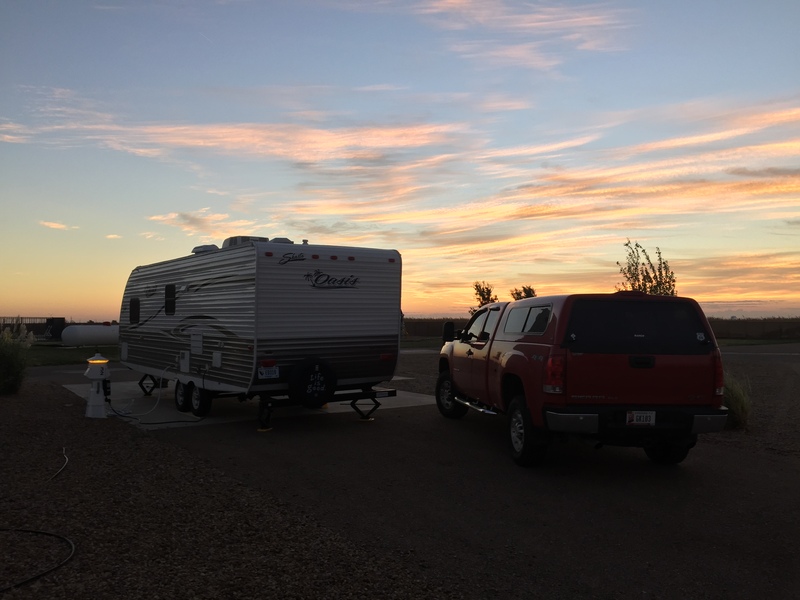 Even though our Shasta is practically new at just 6 months old, I felt a little out of place being nestled amongst $100,000+ motorhomes and high end fifth wheels. I didn’t mind though, as we felt safe and sound there. 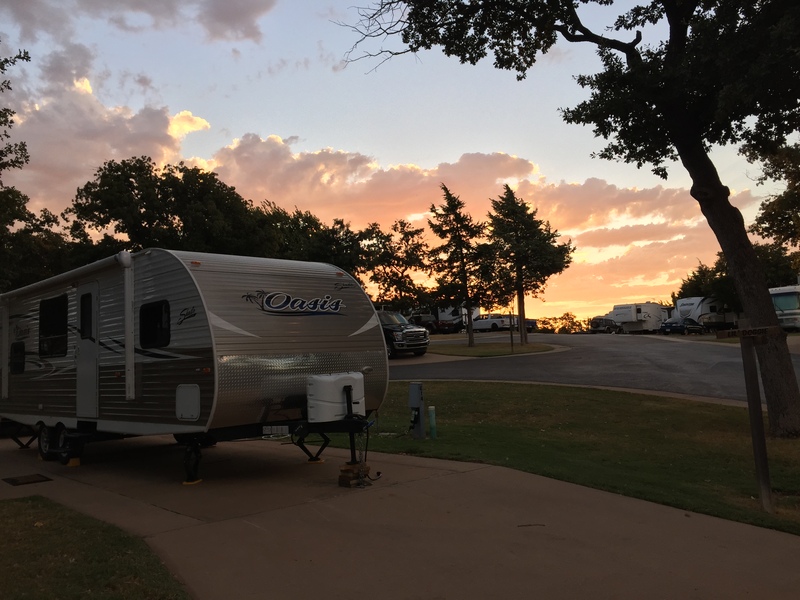 Amarillo is a GREAT place for RVers to stay. 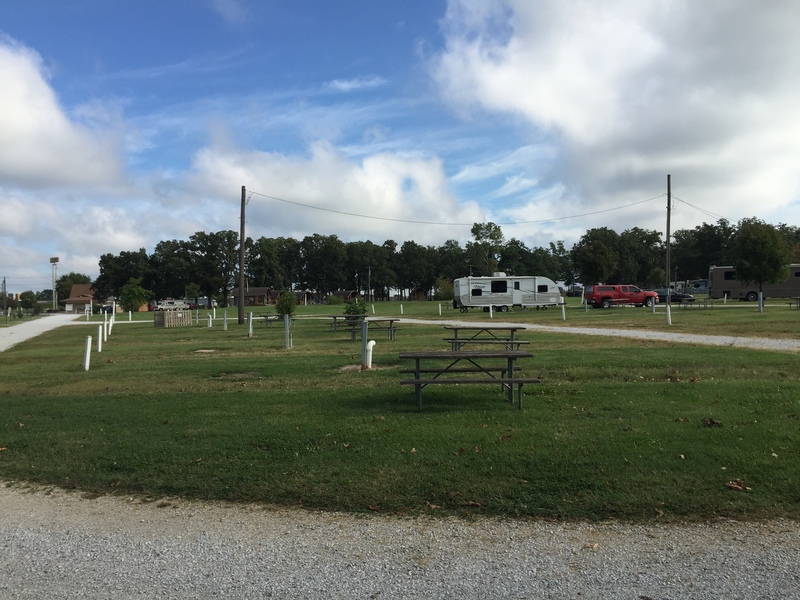 There are several good RV parks in town where you won’t have any worries. 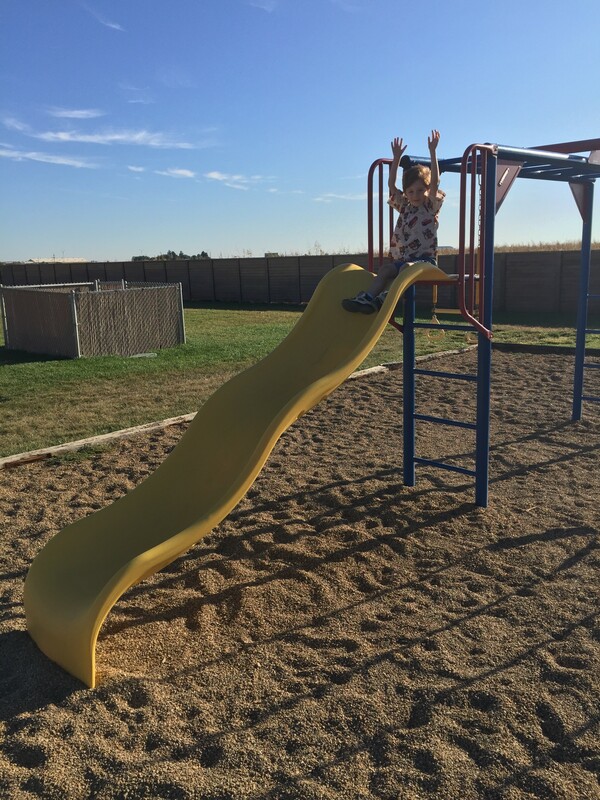 I narrowed our choice down to two, so I let my grandson pick based on the playground. 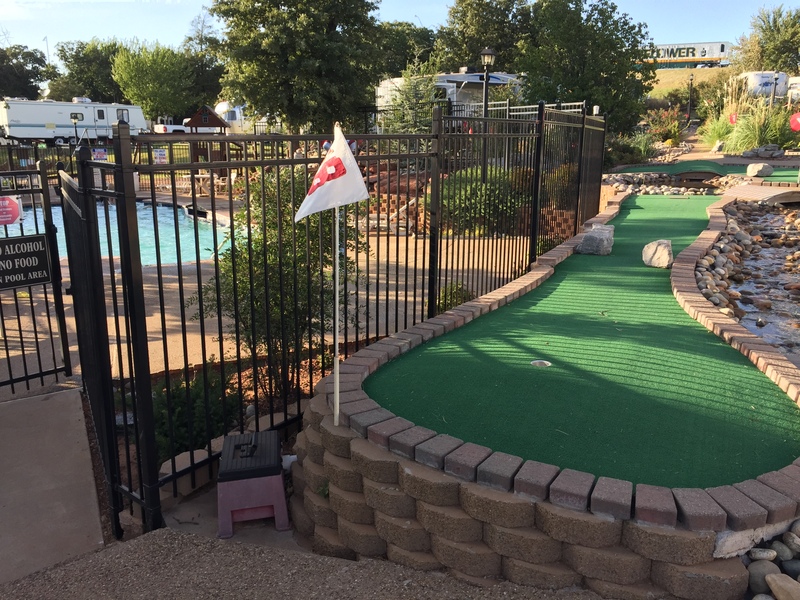 It worked out well, as we stayed at the Oasis RV Park in….our Shasta Oasis. There’s a Love’s Truck Stop 1/2 mile up the road near the interchange, so that makes fueling up before hitching up a nice convenience. There’s a good photo op on the grounds as well with a motorhome buried nose-first into the Texas soil, which is a nice tribute to the park’s neighbor to the east, Cadillac Ranch. Amarillo is probably my favorite Route 66 town. 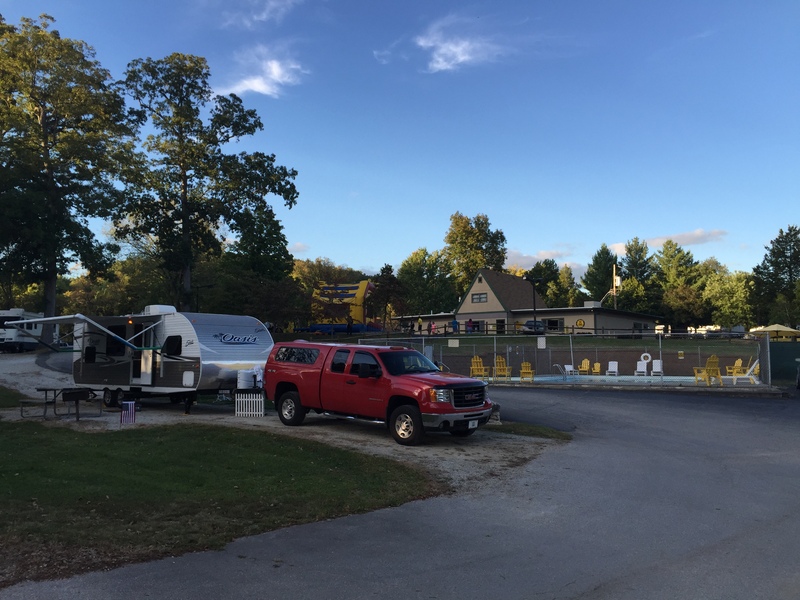 When there, be sure to visit the Jack Sisemore RV Museum, located on the grounds of the Jack Sisemore Traveland RV dealership. It’s small, but they have an impressive display of RVs from several eras. Click here for more info. Cost for two nights: $65.70. 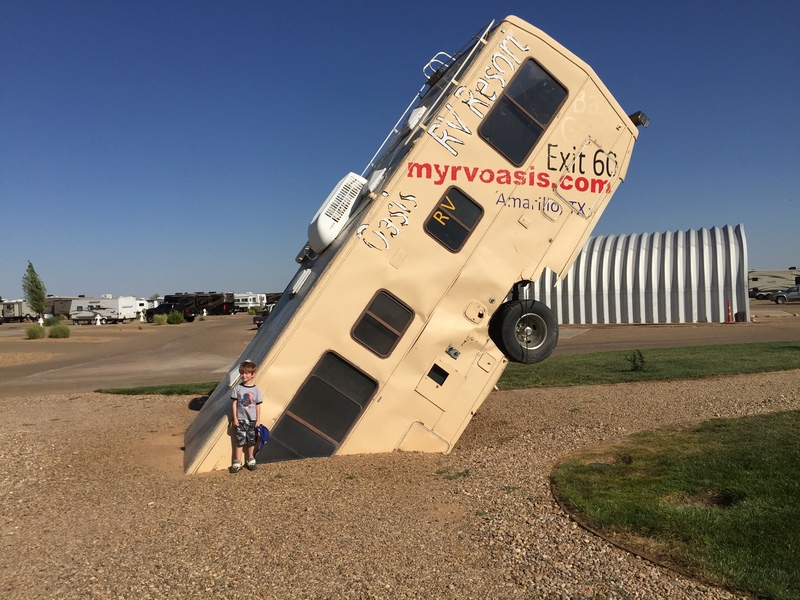 We found traveling Route 66 with an RV to be a really fun experience…one that we weren’t sure about when we left home. 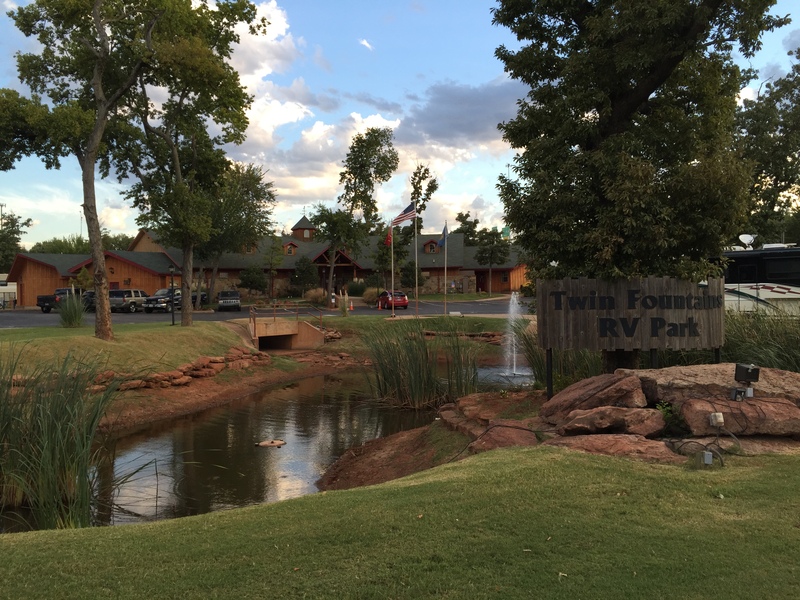 What we found out is that there is a good amount of RV parks out there along the shoulders of 66 that eagerly cater to those specifically traveling Route 66, just as those who are out there discovering 66 via car and staying in motels. And we found some of those RVers ourselves, as I encountered several RVs at some of the parks that were sporting Route 66 license plates or decals affixed to their RV. But this trip also gave us the luxury of staying in our own bed each night, while still moving to a new place each day. If you’re doing your own research on RV travel on Route 66 and contemplating your own journey, I wholeheartedly recommend it. 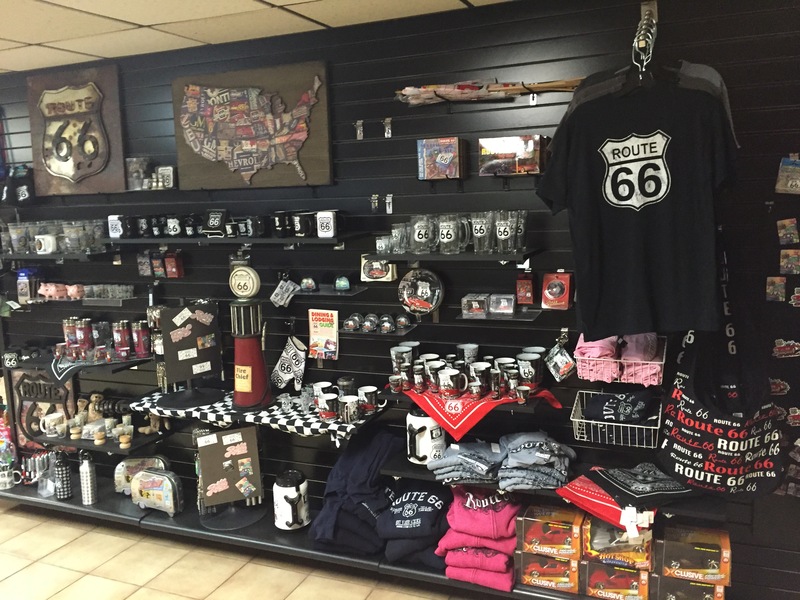 It’ll give you a new way to explore Route 66 with all the comforts of home. The resurgence of Shasta in the RV industry over the past few years has been welcomed with open arms by consumers with a desire for a quality trailer, but one with value in mind. Since current Shasta RV president Mark Lucas took over the reigns of the Forest River subsidiary in 2012, their line of travel trailers and fifth wheels have been streamlined and well defined. However, aiding in that resurgence of the Shasta brand was 2014’s reissue of the 1961 Shasta Airflyte, in both a 16′ and 19′ model. Once the news of 1,941 of the Airflytes were being reissued, with a little modern technology tweaks, it created a buzz in the RV industry the likes of which haven’t been seen in decades. As a byproduct of the Airflyte reissue, the iconic Shasta name has been put back in the forefront of the minds of RV consumers who recall the days when they might’ve gone camping with their grandparents in an original 1960’s or 1970’s Shasta. And although they may not have purchased a 2015 reissue Airflyte, it opened some eyes to the main lines of Shasta trailers currently produced in their Middlebury, Indiana factory. Currently Shasta produces two fifth wheels: The Revere and the Phoenix, and three travel trailer lines: The Revere, Flyte, and Oasis. 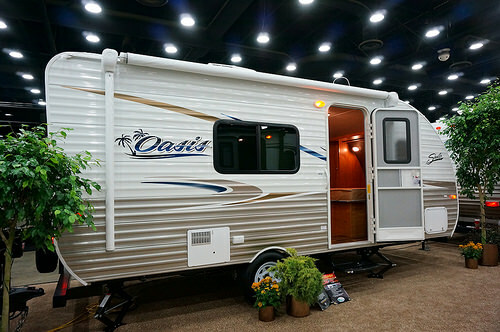 Today I want to focus on one that falls in the range of our theme here at The Small Trailer Enthusiast that is right at 20′ long: The Shasta Oasis 18FQ. I first brought this unit to your attention back in December 2014 at the RVIA trade show in Louisville, Kentucky where the 18FQ was first introduced. It’s taken some time, but the 18FQ (and its brother the 18BH bunkhouse) are finally hitting dealer lots here in April. 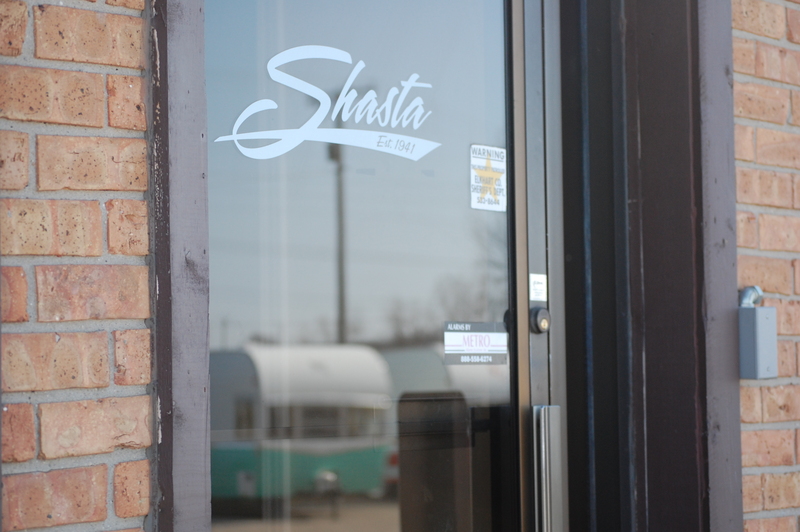 However, we’re still awaiting Shasta to update their website with specs and floorplans for each. Some of you loyal readers of this site will know that I recently purchased an Oasis, although a much longer floorplan, due to a growing grandchild base. So I’ve been able to have a little more of an in depth take on the Oasis than I might other brands I discuss here. 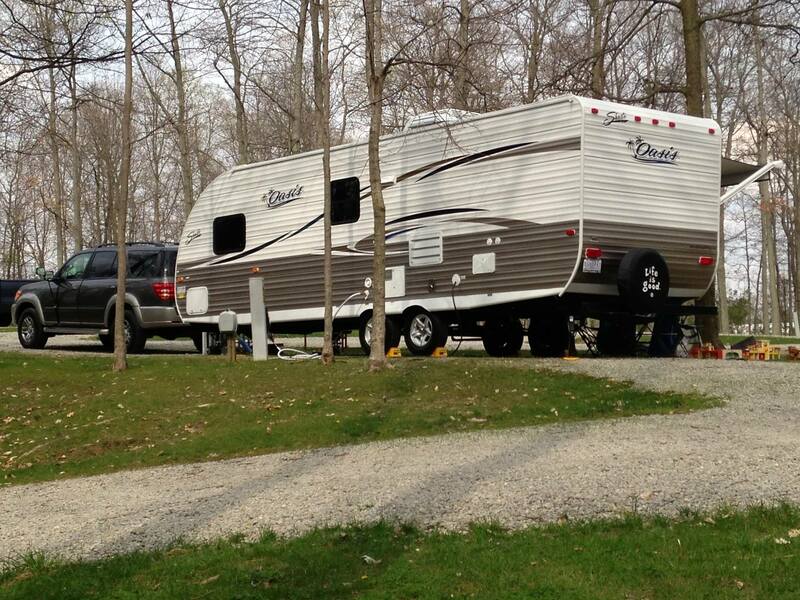 The 25BH Oasis that I have is my third trailer, after owning a 2010 T@B and a 2010 Serro Scotty HiLander. The materials and appliances Shasta uses aren’t cut rate, as it has a 6 cubic foot Dometic refrigerator, a 3-burner Atwood stove and oven, and a High Pointe microwave, which are all brands you’ll find in higher priced RVs. 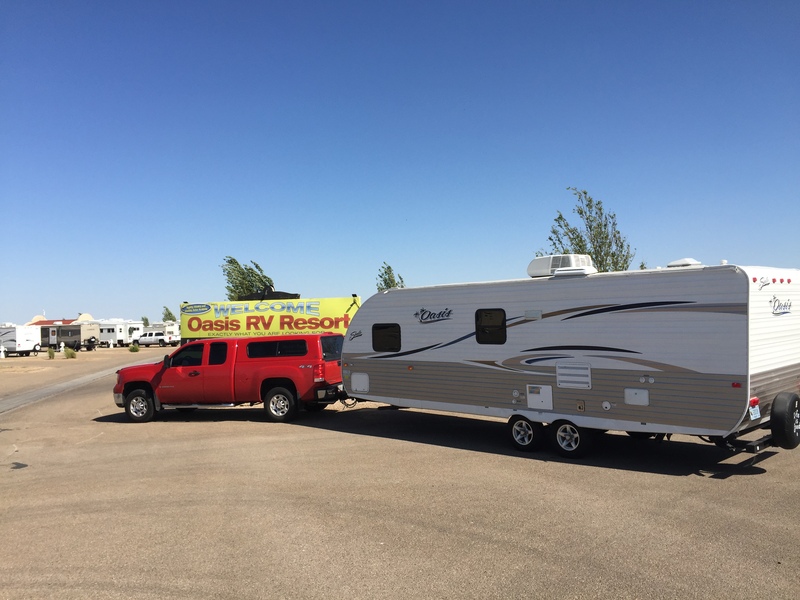 Shasta prides itself with the Oasis being the RV industry’s “leading value in the RV industry“. From a construction standpoint, the Oasis utilizes a 5/8” tongue & groove plywood floor that’s covered with a Congoleum covering that has a 3 year warranty against cold cracking. The frame is a solid steel I-beam that’s solid as a rock. 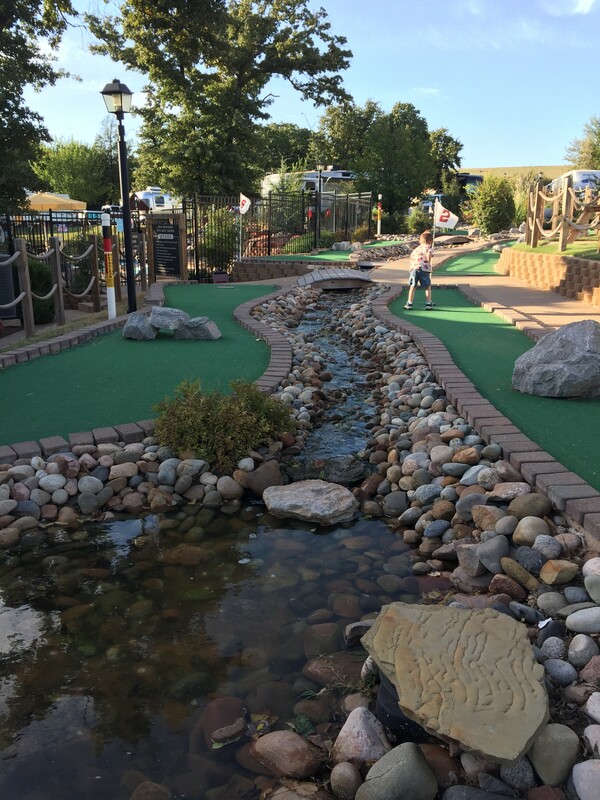 Prior to purchasing an Oasis, I did some homework and asked questions. 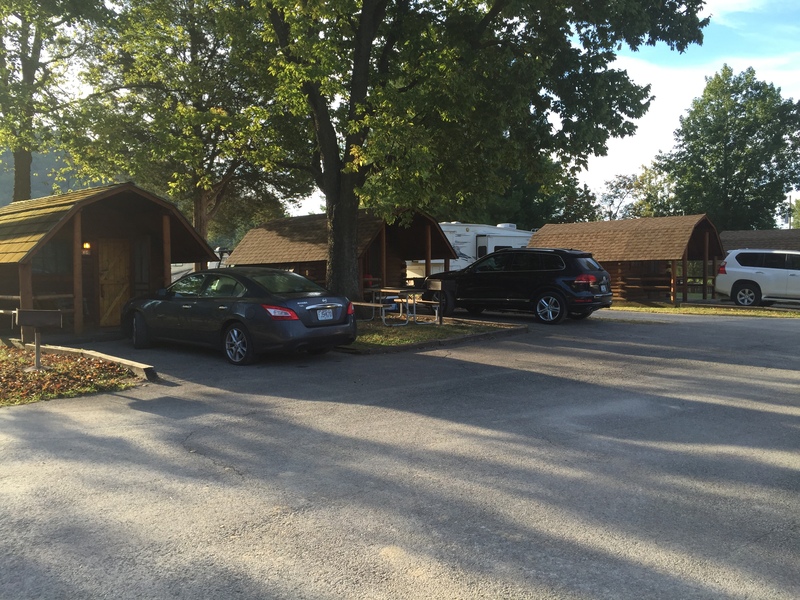 I spoke with Rusty Eckstein, vice president of the Shasta dealer in Central Indiana at Mount Comfort RV, and he told me about the Oasis, “We have done well with the Oasis trailers. 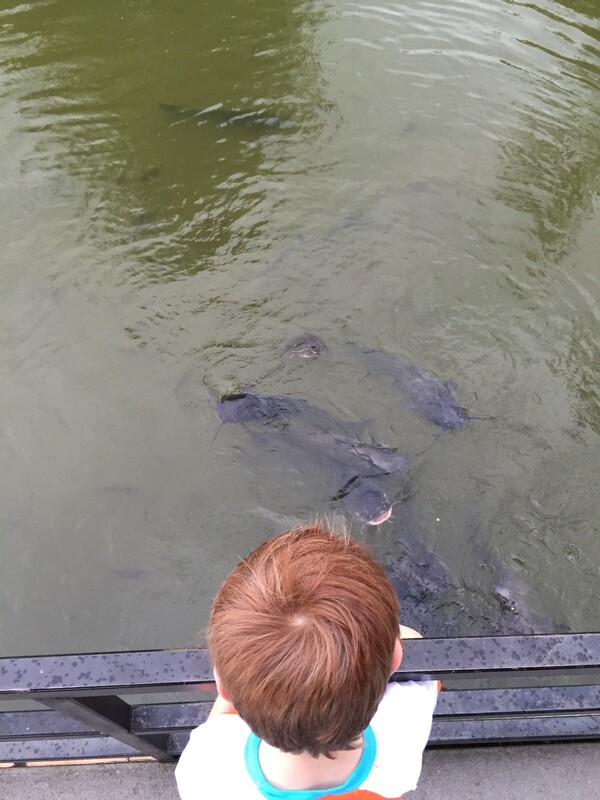 They have been out about 3 or 4 years now. Shasta has made improvements on them as far as looks and quality each year. They had been trying to get us to carry the line and last year, we finally decided that they had them dialed in. So, we picked them up. My dad and I spend A LOT of time shopping for RV’s. It is a large part of what we do. The Oasis is one that we bought!” That was pretty much all I needed to hear. I had looked at some other brands that I had knowledge of, but the floorplans didn’t quite offer what the 25BH did, so ultimately we were comfortable with what we saw and we put our order in on one. So far so good! This brings back to the 18FQ. I’ve been able to put bits & pieces of specs together on the Oasis 18FQ. First, it’s a single axle with a dry weight in the 3200 lbs range and is right at 20′ in length. So as trailers go, it’s relatively light weight for that size. 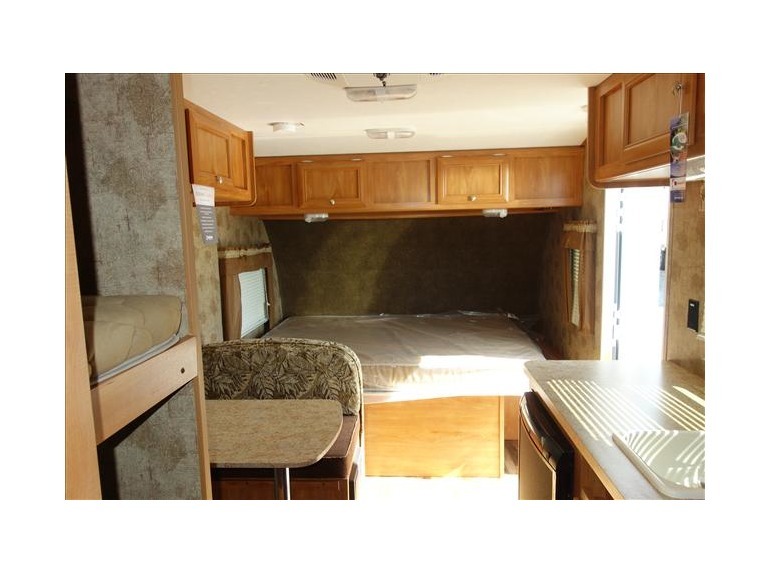 It has pass through storage in the front, and inside has the signature Oasis 60″ X 74″ queen walk around bed in the front. Although the video I’ve attached below states it’s a 6 cubic foot refrigerator, that is not the case on this model. It’s more in the ballpark of a 3-4 cubic foot. 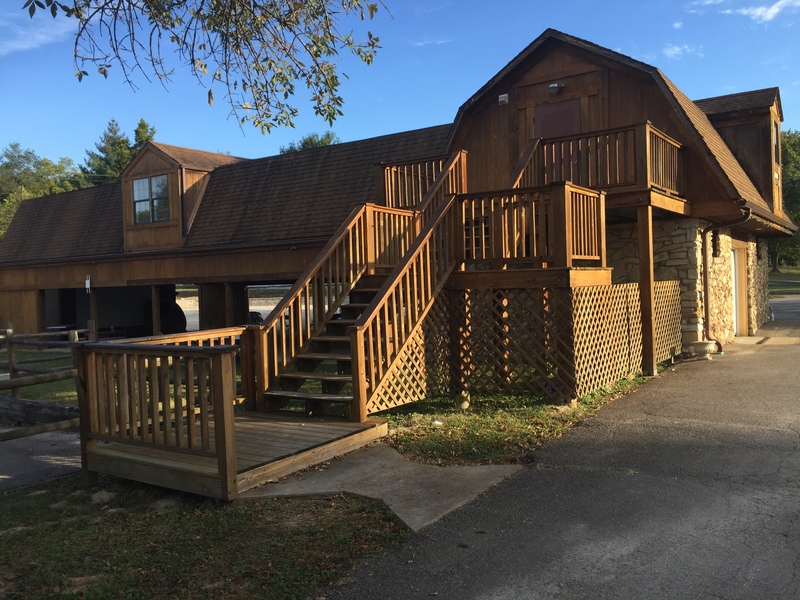 As you can see from the photos, it’s got ample counter space, a nice sized dinette, plenty of cabinet space, and a nice sized full bathroom in the rear with a 36″ bathtub, medicine cabinet, foot flush toilet, and additional cabinets for storage. I was really impressed with the layout of this 18FQ when I first saw it back in December. This is an excellent fit for a couple with a smaller budget, as it gives plenty of room without stepping on each others’ toes. However, for those of you with kids and a smaller budget, Shasta does also offer the Oasis 18BH, which provides two single rear bunks. 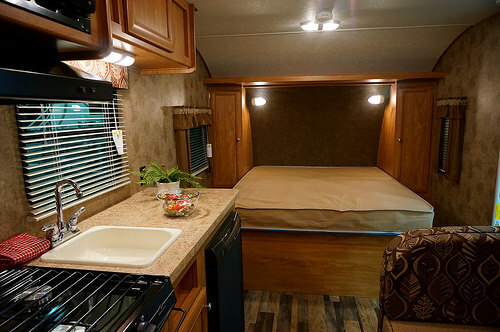 However, it does not offer the walk around island queen bed, but yields plenty of kitchen counter space. While prices of the Oasis 18FQ and 18BH vary when you check on rvtrader.com, you likely shouldn’t expect to pay higher than the low teens for a new model. And as 2015 rolls on, more and more units will be hitting dealer lots, so the need to order one may not be necessary. But if you do order one, options are minimal for you to choose from, as the Oasis line is a value driven model that cuts back on goodies so you can keep your cost low. Below are a couple of videos. The first is of a Shasta Oasis 25RS model, but I’m including that because Mount Comfort RV shows some really good footage throughout the walk through from the Shasta factory in Middlebury to give you a brief glimpse of a few Shastas during the production process. The second video was just published a day ago by Atlantic Marine & RV in Fort Pierce, Florida of a 2016 Oasis 18FQ. 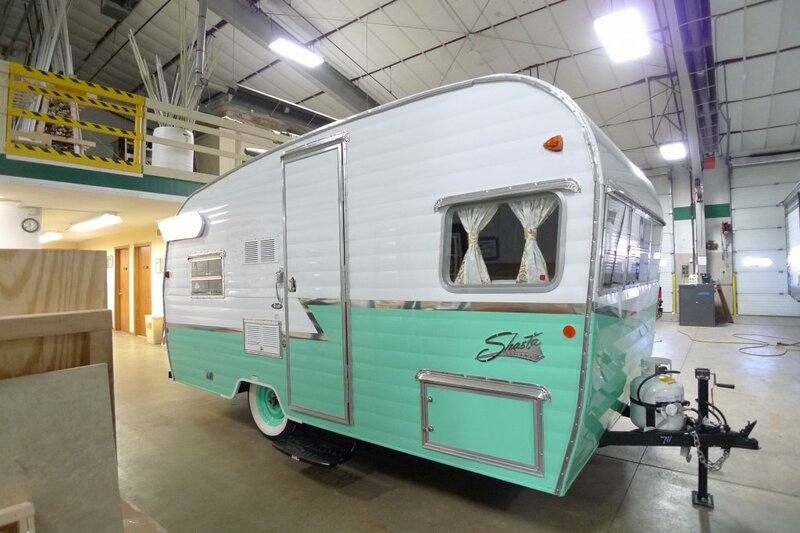 Beginning this month, the RV Hall of Fame in Elkhart, Indiana will feature an old and new Shasta in the Go RVing wing of the hall of fame. 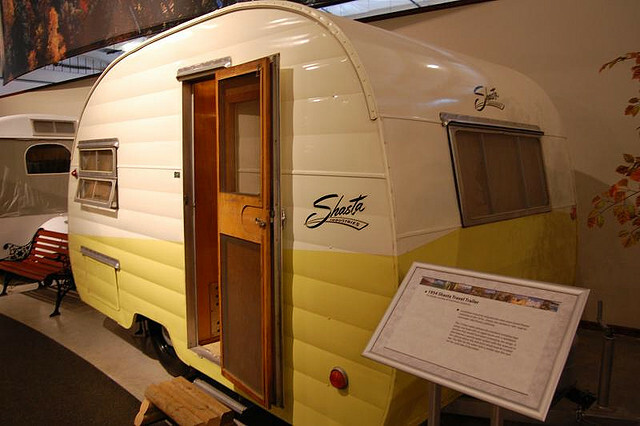 The two-trailer exhibit will feature a 1954 Shasta that currently resides in the hall of fame’s main exhibit. 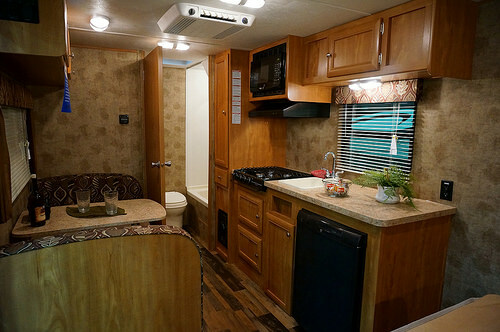 The other is a 2015 Shasta Airflyte reissue model that is being donated to the museum by Wisconsin RV dealer Mick Ferkey, who also is a board member for the hall of fame. 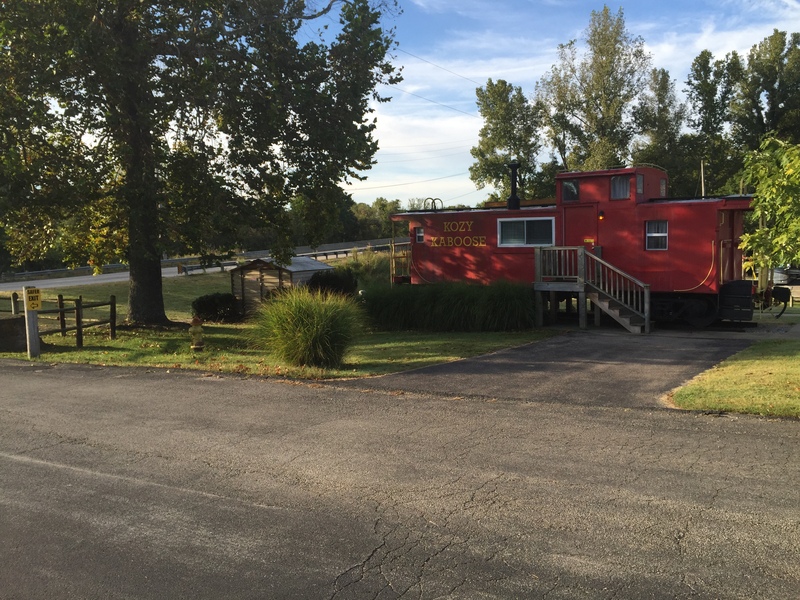 For hours and admission info, visit the RV/MH Hall of Fame web site at http://www.rvmhhalloffame.org.